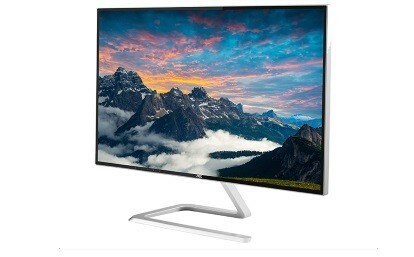 AOC – the best known company for manufacturing the monitor display technology, has recently announced the 27 inch quad core Ultra Slim Frameless IPS monitor called – the AOC Q2781PQ Monitor. The AOC Q2781PQ Monitor features an ultra slim design and asymmetric stand. The Q2781PQ monitor comes with an upgraded design and improved image quality, which is certain to impress design-conscious users of all types. The monitor sports a 27 inch display with the QHD resolution of 2560 × 1440 pixels, a 50,000,000:1 dynamic contrast ratio and a new 4 sided frameless AH-IPS panel. Its panel allows for wide viewing angles of 178° degree, ensuring brilliant color and Clear Vision. The monitor display also features a Full sRGB color for the best color uniformity from any perspective. The image performance engine can upscale Standard Definition (SD) sources to High Defination (HD) for sharper display, and provides more vivid viewing. It also supports a Flicker-FREE technology and offers excellent picture quality and stunning view and color combination. Users who frequently spend long periods in front of a display will benefit from AOC Flicker-FREE technology that regulates the monitor’s brightness through a DC (direct current) backlight system and also reduces the unpleasant flickering, so frequently causes eye fatigue and keep far away from discomfort. The other features included multiple video input, a Displayport, two HDMI inputs and D-Sub port as well as it allows users to connect the monitor up with their gaming consoles, Blu-ray players or portable devices such as laptops. The AOC Q2781PQ Monitor is now available at Amazon website and priced at $499.